The ability to see your surroundings and being seen by others are the two biggest reasons why you need good lighting on your ATV. 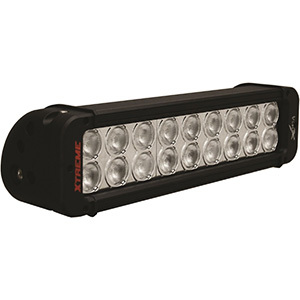 LED light bars meet those needs better than any other off- or on-road lighting system. Low power draw – LEDs sip energy. 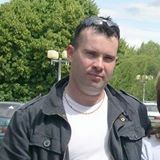 The run for hours from a standard ATV battery. 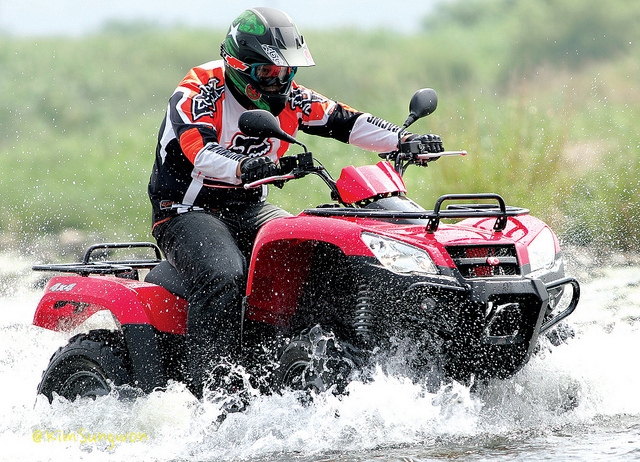 Lightweight – Keep your ATV light and agile. Long lifespan – The best LEDs have lifespans over 50,000 hours. Variety of beam widths – Choose from spotlights, floodlights or combo lights. Vibration resistant – Without filaments, LEDs are particularly suited for trails, jumps and rocky rivers. Low heat – ATV LED light bars emit less heat than other lighting technologies. Compact – Because LEDs are tiny, an endless variety of shapes and sizes are available. Variety of colors – Other lighting types only offer white light. LEDs can output any color in the spectrum. Micro-pod sets of several lights that are placed anywhere on an ATV and wired with one cable. 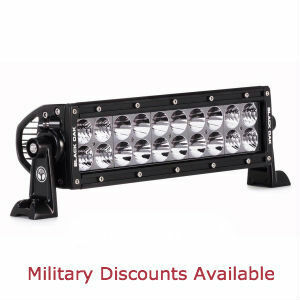 Billet-mount LED bars for highlighting bumpers, fenders or racks. Single LED lamps with powerful 10W lamps. These make ideal spotting lamps, especially if mounted on swivels. Flush-mount lights make excellent daytime running lights. Amber LED lights for penetrating fog or dust at night. Full-length LED whips or whip tips for maximum visibility on trails or in dunes. Rugged construction is essential, since the lights are subjected to extreme conditions. Extruded aluminum housings are tougher than cast housings. Mounts and mounting hardware must be corrosion-proof. 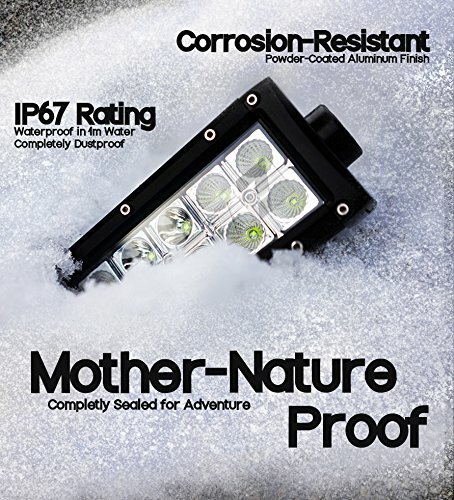 Find light bars with a minimum IP67 rating against moisture and dust, including the wiring connectors. For illuminating trails, choose an appropriate beam pattern. Spots penetrate the furthest, but their width is relatively narrow. Flood patterns light the sides but reach half as far as spots. Combo light bars produce both a spot and flood pattern. Any LED light’s lifespan can be severely shortened by excess heat. Look for hefty heat sinks with lots of fins and ridges. These dissipate heat from the LEDs and the LED driver circuits. The best ATV LED light bar has a metal-core PCB that keeps circuits cool. he highest quality LEDs, such as Cree or Epistar, have the greatest light output per Watt. 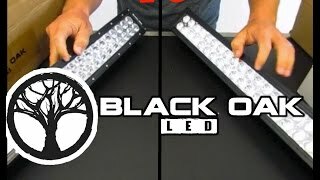 Beware that many cheap LED light bar makers overdrive their LEDs to make them brighter, but this burns out the lights within months. Learn more about LED efficiency and other myth and facts here. White light color is measured in degrees Kelvin. 5000K is the temperature of outdoor light on a clear day. At night, a 5000K LED light bar renders colors in natural hues. Many LED light makers use LED temperatures of 6000K or higher because the blue-white light appears brighter, but color render is diminished which can increase eye fatigue. An LED light bar’s warranty says a lot about a manufacturer’s confidence in the longevity of their product. 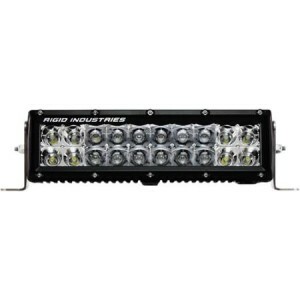 Another way to ascertain ATV LED light bar quality is to peruse ATV LED light bar reviews. Study products with at least 10 detailed reviews, and evaluate both the pros and cons. An affordable, quality ATV LED light bar is the Opt7® C2 Series 22″ Off-Road CREE LED Light Bar, which is ideal as a front- or back-facing ATV driving light. 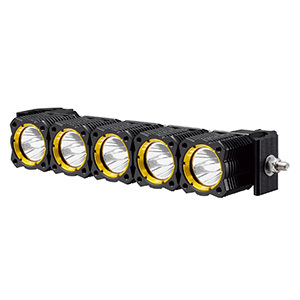 It features a spot/flood combo pattern, super-bright Cree LEDs, a heavily-finned aluminum housing rated IP67 and rugged, vibration-resistant mounts and hardware. It outputs over 10,000 lumens at 5000K while drawing less than 10A. It comes with a complete, IP67 wiring harness with a lighted on/off switch, 40A relay, light bar connector, battery hookups, and a generous length of heavy gauge wire. 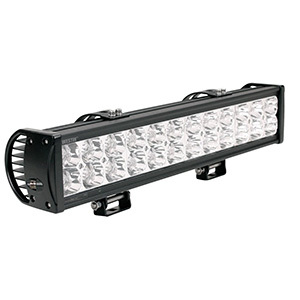 The ATV LED light bar reviews on the Opt7® C2 Series overwhelmingly rate it 5 stars. 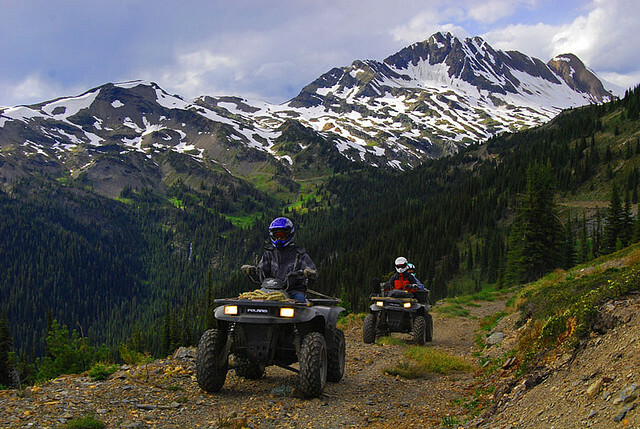 Due to type of terrain and environmental conditions that ATVs traverse, they have special lighting needs. Fortunately, there are countless options to serve these needs from several LED lighting manufacturers. Whichever type of LED light you need, you now know what to look for to find a quality, long-lasting and bright LED light bar for your ATV.